Making K-14 schools more energy efficient and resilient should be a state priority. The School Energy Coalition (SEC) is leading a new discussion on the importance of continued funding for cost-effective school energy and water projects. Our SEC Spring Statewide Advocacy Summit will focus on advocacy for a new funding program, as well as better electricity use tracking and control at the school site level. Attendees will hear from key State Agencies, Legislative and industry representatives on issues such as electricity planning toward Zero Net Energy (ZNE), energy and water ideas for the 2020 statewide school bond, electric vehicle and bus funding opportunities and resiliency through microgrids and energy storage. Electric Vehicle (EV) funding program staff from the California Energy Commission (CEC) has committed to present at this event. Attendees will also hear an outlook on the Newsom Administration on energy and education issues and hear new concepts for building de-carbonization through less natural gas and more electrification; green building standards and landscape design that considers water resources and greenhouse gas (GhG) reduction. The school districts “in the know” will be in the best position to take advantage of the coming changes and potential funding. The Summit will conclude with a visit to the State Capitol to discuss energy and water issues with representatives of the State Legislature on energy issues and relay critical feedback on our request to continue funding under the Clean Energy Jobs Creation Fund. SEC Summit attendees will walk the halls and share the successes and accomplishments achieved on school sites throughout California and what a new school energy program might look like going forward. Click here to view a draft agenda. 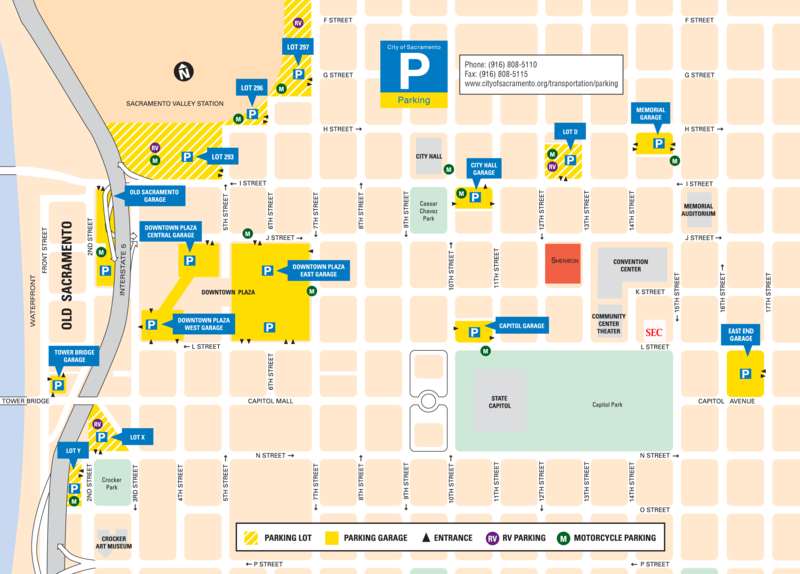 Click here for a Parking Map for Downtown Sacramento. Thank you to our Spring Summit Sponsor!! Thank you to all who joined us for our Annual Membership Meeting in Sacramento! California’s fire season has begun already this year and schools are on the front line. Local Education Agencies (LEA) in California must become more resilient with regard to natural disasters, power outages and electricity rate increases. Our Fall Forum will be focused on showing you how to better protect, manage and plan your energy usage and the investments you have made or will be making with Proposition 39. Schools must begin to think of their energy assets in a systemic way in order to provide protection and perhaps even a future revenue source. 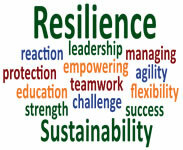 The ability to prepare for and adapt to changing conditions and withstand and recover rapidly from disruptions. When schools lose water or power in emergency situations they must have a plan to protect students and teachers. In dangerous conditions or under extreme weather conditions, LEAs must figure out how to best recover quickly or allow students to be dismissed to parents and guardians in particularly chaotic conditions. There are ways to better protect your campus through energy and water practices and installations that will give you more time to recover. Schools are learning that they do not have to be held hostage to the wind, fire and seismic occurrences. Parking is free. Please park in the upper parking lot. As you enter driveway to CUSH Plaza, the 1st right turn is best lot to park in. Take walkway to the building entrance, then elevator to 3rd floor. Follow the signs to Training Room down the hall. Thank you to our SEC Fall Forum Sponsors! On August 9, 2018 at 2:00 p.m. SEC will be hosting a webinar with our sponsor ABM that will share important information of the CEC Clean Energy Bus Program and what schools need to understand in order to apply for this program. Thank you to ABM for sponsoring this webinar! We will continue to hear from State Agency representatives to ensure that LEA’s are getting the latest and best information straight from those who are administering the Prop 39 program – this is the backbone of our Summit. The California Energy Commission and the Division of the State Architect have confirmed their participation. In addition, we will be visiting with key legislators and influencers and discussing future funding beyond the present Proposition 39 program. We will make our case by sharing the successes and accomplishments we have achieved on school sites throughout California. To prepare, we will begin our Summit with a working Networking Dinner to brainstorm and share with our colleagues the key points we will be making and key questions to ask Summit presenters the next morning. It is imperative that we communicate the school facility energy needs of LEAs throughout California to our Summit meeting day State Agency presenters. In the afternoon, we will visit the State Capitol to discuss energy and water issues with representatives of the State Legislature on energy issues and relay critical feedback on our request to continue funding under the Clean Energy Jobs Creation Fund for energy efficiency upgrades, renewable generation and battery storage and Zero Net Energy (ZNE) school facilities. In addition to hearing from State Agencies, public school district members will present school case studies to help attendees learn more about how to get the most out of state programs and successfully navigate the accountability and audit processes. We have reserved a small block of rooms at the Sheraton Grand in Sacramento at the rate of $185 per night. Call 1.800.325.3535 and identify as a SEC Summit participant. If you need assistance, please call Aileen at 916.441.3300. Self-parking is $25.00. Valet parking is $32.00. Sponsorship ensures that LEAs are able to attend the SEC Spring Statewide Legislative Summit at a reasonable rate. Contact Aileen for more information on this opportunity. Focused on Lighting in the Fifth Year of Prop 39? December 13, 2017 | 2:00 p.m. - 3:00 p.m. The California Conservation Corps (CCC) has retrofitted over 25,000 LED fixtures for school districts throughout California, and has recently set a June 30, 2018 deadline for "FREE" retrofits. After that date, there will be a charge per hour.The CCC's free labor allows an LEA to get a bigger bang from their Prop 39 buck. Hear the latest information on Proposition 39 from SEC and an important update from the CCC on the services they provide that will allow your final allocation to go further. -What is the latest on Proposition 39 2.0? -CCC is back in business, what can they do for my district? -What do I need to do to utilize the services of CCC? Who should sign up for this Webinar? Consultants working with these LEAs. This year's Fall Forums were outstanding! Thank you to all of our knowledgeable speakers who took time out of their busy schedules to share their knowledge with us! The School Energy Coalition presented Senate President pro Tempore Kevin deLeon with an award of appreciation for all his work on behalf of schools and energy efficiency. Anna Ferrera presents award for Kevin de León Senate President Pro Tempore. Steve Veres accepted on behalf of the Senator. The award reads: With sincere appreciation for your leadership in advancing energy efficiency and renewable options for California’s K-12 schools through the Clean Energy Jobs Fund in the 2016-17 Legislative Session. Thank you to our Fall Forum Sponsors!! Schools must figure out the best ways to make limited dollars work to meet energy and water efficiency requirements and find new sources of funding. 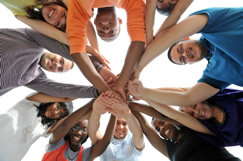 The School Energy Coalition (SEC) is helping districts meet this challenge. The California Energy Commission has confirmed they will be presenting the latest information. Public school district members will present school case studies to help attendees learn more about how to get the most out of state programs and successfullly navigate the accountability and audit processes. Our panels of experts in the field will share how to avoid pitfalls as decisions are made on how best to meet state mandates and goals. Attendees will leave better prepared to find solutions and ways to move forward with energy and water efficiencies, conservation and generation. SEC Forums will provide important feedback on future advocacy to extend Proposition 39 and Zero Net Energy (ZNE) for school facilities. We had GREAT Forums in Sacramento and San Diego! Be sure to keep on eye on your email for upcoming Fall Forums! Thank You to Our Spring Forum Sponsors!! The SEC Fall Forums focused on water management, energy efficiency and the final push for funding under Proposition 39. Hear how schools have applied these funds to both energy and water efficiency projects. Discuss the latest trends with experts for achieving resource efficiency goals using Proposition 39 funding and other funding sources. Thank you to Balfour Beatty Construction, Pacific West and TerraVerde Renewables for sponsoring the Fall Forums! The tenth annual Green California Schools and Community Colleges Summit and Exposition comes to the Pasadena Convention Center November 2-3. Venture capitalist and Next 10 founder Noel Perry will keynote the opening session. Through an Expo with over 100 companies and dozens of educational sessions, the Summit offers insights into innovations in green policy, technology and practice. Keynotes and exhibit hall are free. For more information and to register, go to www.green-technology.org or call 626-577-5700. Thank you to Balfour Beatty Construction, PacificWest Energy Solutions, Sage Renewables, TerraVerde Renewables and The KYA Group for sponsoring the Forums! March 15, 2016 | 2:00 p.m. The Proposition 39 Program has provided every school district, county office of education, and charter school with a per ADA allocation of funding for energy efficiency and renewable energy projects that provide a specific Return on Investment (ROI). We are currently at the midpoint of this five-year program. Will you be ready to easily report out results that show you met the mark? Accountability provisions imbedded in the implementing statute require K-14 schools to show cost and savings after the installation of energy measures using Proposition 39 funding. Energy Commission Guidelines require Local Education Agencies (LEAs) to measure their baseline use and provide an analysis to the State that shows cost and energy use savings for these installed projects and provide annual and final reports for verification. The Proposition 39 Citizens Oversight Board is charged with writing a report to the Legislature on the success of the program based on an audit(s) of these reports once projects are completed. This webinar will showcase options for LEAs that are seeking to show the costs and energy savings under the Proposition 39 program and how to account for unforeseen variables such as changing electricity rates or weather patterns that may have required more energy use. -What is required under the Proposition 39 program and how can I efficiently and effectively track my progress? -What if my energy consumption INCREASES after my Prop 39 project, due to occupancy or weather condition changes? -How can I demonstrate that the building is still more EFFICIENT? How can I ensure that the efficiency is sustained? The State of California is asking schools to take steps toward conservation and efficiency on energy and water due to the drought emergency and climate change. This is in addition to similar requirements for funding approval for energy projects under the Proposition 39 program. Although these demands are challenging for schools, they present a golden opportunity to generate general fund savings by using less of these billable resources. Attend and be better prepared to move forward with a plan to achieve ongoing savings through energy efficiency, solar, and water projects. We will also have experts discussing best ways to maximize these dollars, along with the latest information on funding available for school energy and water projects through utility rebate programs and more incentives. Jeffrey Becker, Fresno Co. Ofc. Of Educ. SEC would like to continue supporting schools as they move planning and projects forward with webinars on energy issues. SEC members receive a 50% discount on all webinars! We would like your input on what webinar topics would benefit your district and community. SEC will do the work of finding the best information and presenter(s), unless you have a suggestion or would like to do one yourself. While we believe it would be beneficial to have SEC members talk about their successful EEP projects, or simply share experiences in addressing an issue or concern, it can be on any aspect of energy and school facilities - any area of interest that you would simply like more information about, addressing a specific concern or challenge, or new pathways to getting an energy project done.